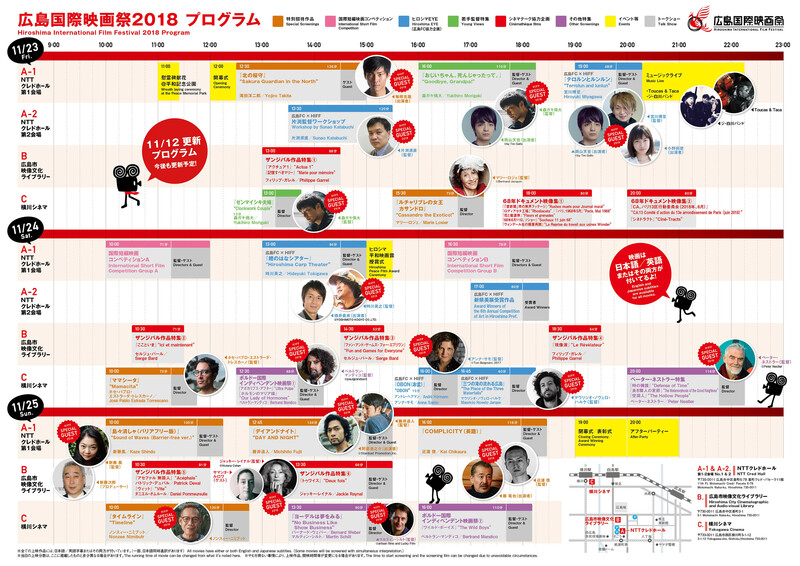 The Hiroshima International Film Festival is a meeting ground for the general public and cinema professionals. Special Screenings consists of 7 films as a panorama of the world cinema. Official Competition consists of short films made​by filmmakers from all over the world. Hiroshima EYE previews new and classic films of all genres in echo with the history and the present time of Hiroshima. * the schedule may be changed without advance notice.